Hello, can anyone advise me what AV Out card would work on this model. With FCP 7 we use the Firewire preview via a Canopus Box but also have FCP X which is working fine BUT does not have a Firewire Preview but only AV out source. Anyone found a solution for this so we can monitor on a large screen TV? Your thread title hurts my brain. 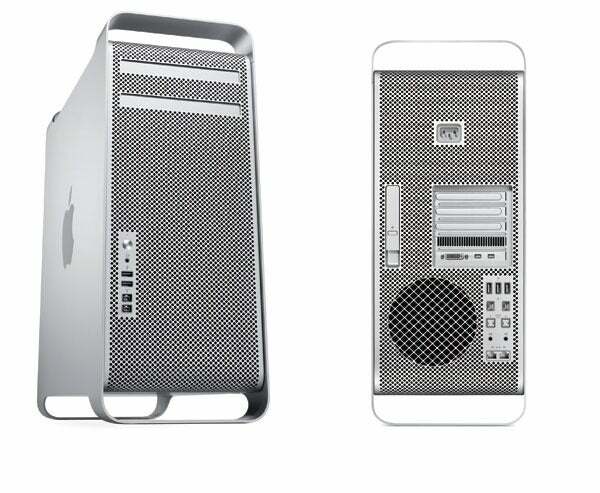 Do you mean Mac Pro or PowerMac G5? Hello.. I was given the wrong serial number.. I will post it in the correct forum. with a single DVD bay, then its a Power Mac G5. With two DVD bays, then its an Intel Mac Pro. If the TV is fairly modern (from the last 10 or so years), odds are it'll have HDMI, or at least VGA on it, in which case you can plug your Mac straight into the TV using a DVI to HDMI, or DVI to VGA adapter. The current situation is that it is used with two monitors - Timeline on one are the rest on the other so can't used the second DVI for TV connection. Hence need a Playback AV card for output to the TV. Have been looking for Blackmagic Playback card but whilst the specs says Mac OS X it does not say which versions. The requirement is for 10.7.5 as this is the highest OS X the system can take.. Correct me if I'm wrong but can't you just put another PCIe video card in there? IIRC, it's just that easy.